CHELSEA husband and wife Luke and Carly Daley are on a mission to improve the knowledge of children and parents about the importance of a balanced diet and good oral health. The couple, who run Daley Nutrition, have partnered with Queensland’s Ecoganics farmers, Frank and Dianne Sciacca, to deliver education workshops and provide free bananas to students. Ecoganics is a farming system “in harmony with nature” by using natural pest controls instead of chemicals. Free bananas will be handed out to every child at nutrition school workshops this year. 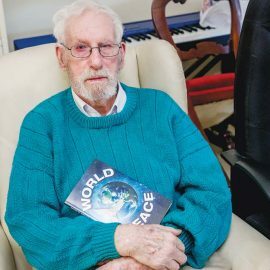 “We expect to reach 7000 students this year across Victoria,” Mr Daley said. The Chelsea resident said research shows the diets of only one in 20 children meet fruit and veg daily intake guidelines. 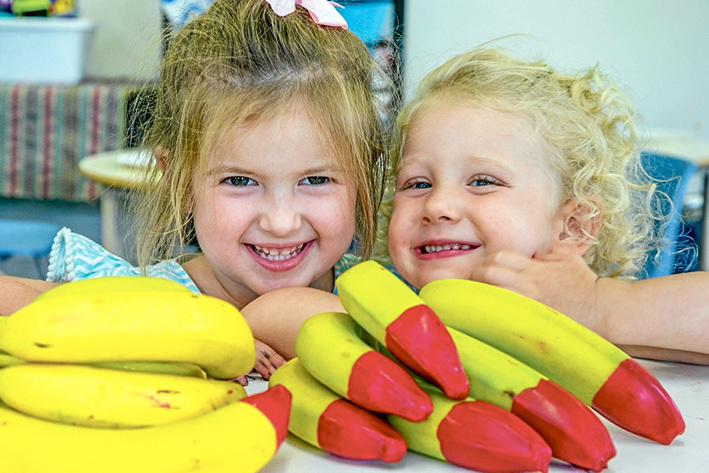 The free bananas program will help children learn about healthy eating and nutrition information in the Australian Dietary Guidelines in an engaging way. Mr Daley said the program includes educational games because children aged 2-18 are the largest consumers of sugar-sweetened beverages. See daleynutrition.com.au or call 0466 471 142 for further details.